When the ESP8266 first hit the market, it shook things up. Here was a 32-bit microcontroller that often cost under $5 AND had Wi-Fi built in… how could things get any better? Well add Bluetooth of course! The result is the ESP32 board that provides the meat of the Adafruit Huzzah32, a member of the Adafruit Feather family. Getting the Huzzah32 set up in the Arduino IDE will require you to download an extra package from the boards manager. Our testing found the increased speed and RAM on the ESP32 over the ESP8266 made browser-based apps running on the Huzzah32 very responsive. The Bluetooth addition really helps push this board further by giving the user options like having one public interface over Wi-Fi and a second private configuration interface over BT. While there are other boards out there with both Wi-Fi and Bluetooth, the form factor and the inclusion in the Feather family of boards really makes the Huzzah32 stand out. Adafruit lists the Huzzah32 as “still targeted to developers” meaning that they are still working on the software and documentation. The good news is that also likely means that we will see their popular Circuit Python development system ported to this board sometime in the near future. 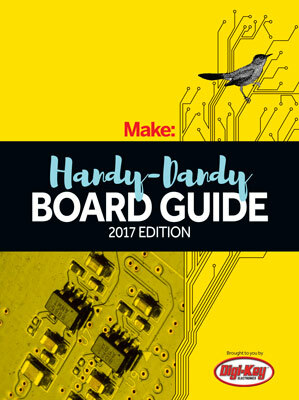 Unless you want to use Circuit Python right now, the Huzzah32 is the best board in the Feather family for most projects.